It is clear from the weather predicted of late that summer is most definitely over, and as upset as that makes me - I know that all good things must come to an end. That doesn’t have to mean I lose my summer tan however, and key to that is having well-prepped, well-moisturised skin all year round. Bondi Sands is one of my favourite go-to brands for self-tanning, so it only seems to right to try their sparkling new Body by Bondi Sands to keep my glow – both real and faux – going. Looking to expand the brand's product range, it seems a natural progression for them include body care products in the line up, and the new Body range is thus far made up of four products designed to keep skin looking healthy and hydrated: a moisturiser, body wash, hand wash and body scrub. Developed with the perfect tan in mind, Bondi Sands Body has been designed to leave your skin clean and fresh whilst maintaining your Bondi Sands glow, and yep, it works. Body by Bondi Sands is also certified Self Tan Friendly, which means it won’t make your carefully applied tan go down the drain any time soon. Bondi Sands Body Moisturiser (RRP $17.99) – this sweet-smelling baby deeply nourishes and hydrates the skin whilst maintaining your self – or real – tan with ease. Enriched with Vitamin E and Jojoba, the pH balanced formulation is enhanced with gentle moisturises to leave skin feeling smooth and radiant, and the great price makes it the perfect everyday go-to for after a shower. 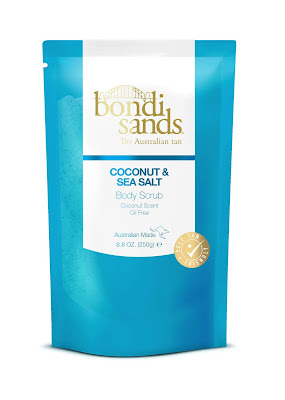 Bondi Sands Coconut & Sea Salt Body Scrub (RRP $23.99) – this is my favourite from the line up so far, and one that I’ve quickly become addicted to using. Its formula includes naturally derived exfoliants like Australian sand, sea salt, coconut husk and walnut shell, and it is surprisingly gentle yet effective. 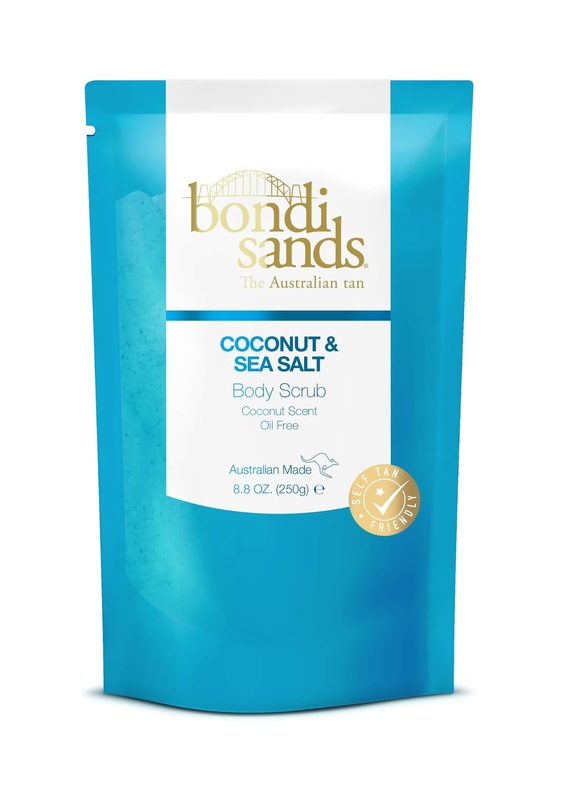 Bondi Sands Body Wash (RRP $16.99) and Hand Wash (RRP $12.99) – both enriched with Aloe Vera, the Bondi Sands Body Wash and Hand Wash work to cleanse and soften the skin without fear of your tan being stripped or fading. They have a soothing pH balanced formula, so each wash leaves skin feeling fresh rather than tight. This stellar range is on counter right now at Farmers, Unichem and Life Pharmacy, and comes highly recommended.